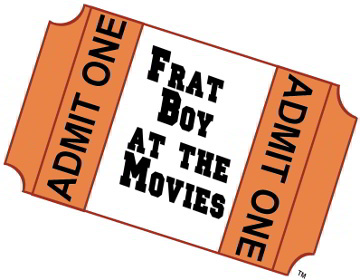 Super Frat » Frat Boy At the Movies: Can You Ever Forgive Me? Frat Boy At the Movies: Can You Ever Forgive Me? Based on the book by Lee Israel, the movie is about Lee Israel— A down and out writer in New York City in 1991. Unable to pay her bills, Lee stumbles upon an old letter in a book from a famous person. When the buyer tells her she’d get more money for a better letter, Lee starts embellishing, then out-right created letters from famous people in their voice. Melissa McCarthy does a great turn as Lee, as does Richard E. Grant as her sidekick, Jack. Jane Curtain also has a small role as Lee’s agent. I like the movie a lot (maybe because it’s about a writer), but mostly because it’s a small world, a small story, but it’s full of detail. It isn’t just about how Lee steals the fame and cons people with the letters, it’s also about the struggle of writers. Maybe I’m biased, but the movie hit home for me. I give Can You Ever Forgive Me? 8 out of 10 keggers. Check it out at your local arthouse movie theater, bros.